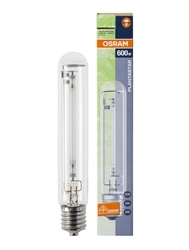 Osram 600w Plantastar hps bulb has the highest PAR rating (meaning it has the highest plant-usable light output) of any bulb on the market, in addition to having 30% more blue spectrum than a standard HPS bulb. 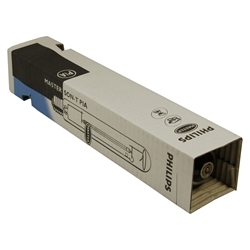 An essential part of any lighting system is, of course, the bulb (or ‘grow light’). 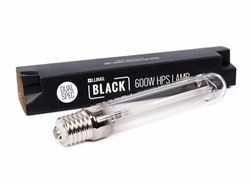 There are many varieties of grow lamps – each tailored for a slightly different purpose. 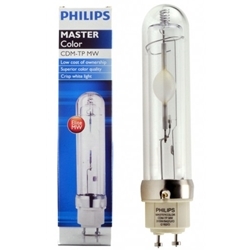 Compact Fluorescent Lamps (also known as ‘CFLs’ or ‘Eco Bulbs’) are suitable for small plants, cuttings and seedlings. They are available in 125W models and also as blue spectrum (for vegetative growth) or red spectrum bulbs (for flowering). 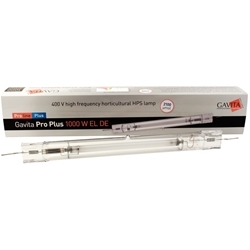 These bulbs are extremely energy efficient, giving off low levels of heat – but will not produce the same results as higher wattage lamps when growing larger or fruit producing plants. 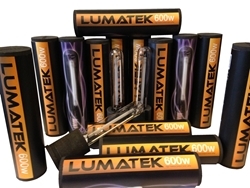 Most growers will tend to use High Intensity Discharge (HID) lamps if their set-up will allow them to do so. 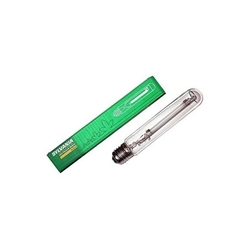 The most commonly used HID lights are High Pressure Sodium (HPS) lamps, which come in a few different forms. Alternatively, you may choose to use a blue spectrum bulb for vegetative growth and a red spectrum bulb when flowering. If you do, then you will need a Metal Halide lamp (blue) and a Pure Sodium Son-T lamp (red). 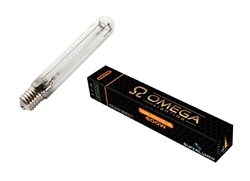 The benefit of using a Metal Halide during the vegetative stage is that your plants will be receiving more blue light – this is the light they need for vegetative growth. Likewise, by switching to a Pure Sodium Son-T you can ensure that your plants reach their full potential when flowering. 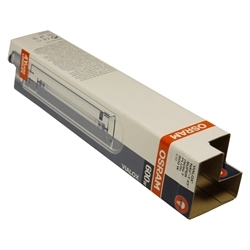 Alternatively, you may wish to combine both a Metal Halide and a Son-T to produce a full spectrum of light. Regardless of which light you choose on this page, you can be sure that you are buying a high-quality lamp for your system. If you have any questions regarding any of our grow lamps, then do not hesitate to contact us over the phone, via email or at our central South West London store.